Frederick E. "Ted" Hood is a distinguished American Yachtsman and Naval Architect who spent most of his life racing sailboats in Marblehead. Ted has won the America's Cup, is an inductee in the America's Cup hall of Fame, designed two 12-meter yachts for competition in the America's Cup: "Nefertiti" and "Independence" and at one time, built the largest sail making company in the world - Hood Sailmakers. 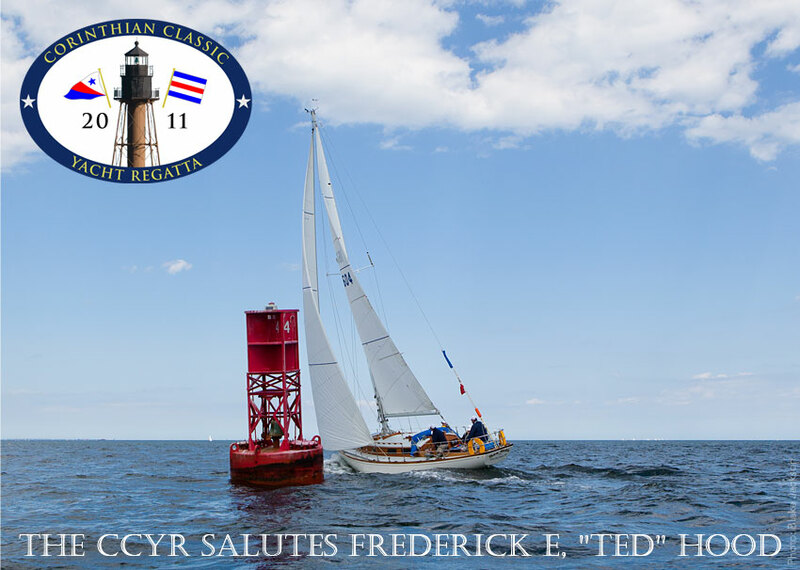 Join us at the Corinthian Classic Yacht Regatta where we will be honoring "Ted" for his lifelong achievements at Saturday evening's dinner.